When hiring many managers to motivate employment, except for salary, negotiate with the Manager on payment to him of a percentage of the total amount of transactions. After managers calculate a percentage and pay to take the bonus money. - the number of transactions, confirming the relevant accounts. When applying for a job Manager on sales you have the right to negotiate on wages. Usually managers assign a salary and a percentage of the amount of transactions. However, common practice when some managers are paid a percentage of profits, that is, the amount that remains after deducting all expenses spent by the employee. These costs include office rent, salaries, travel etc. So in the end, the Manager can stay almost zero, limited only by its rate. According to the current legislation the percentage of sales employers can choose to pay or not to pay at all, and of the total amount of bonuses they are entitled to deduct business expenses, fines and all that they wish. To protect yourself from such troubles, contract and make sure that it was clearly prescribed procedure of counting your wages. In this case, the contract becomes one of the arguments for the recovery of unpaid money from the employer for sales of your products. The validity of payments percent of sales in advance, discuss with the Director. It should be reasonable and not bring the company a loss, but you must not remain in the loser. It is desirable that your Manager understand that this kind of motivation of managers as a percentage of sales should be regarded by them as a just reward, or productivity Manager will inevitably decline or will he leave to another firm. If he does not understand, save time and nerves, trying to get a job with a more adequate assessment of labor. 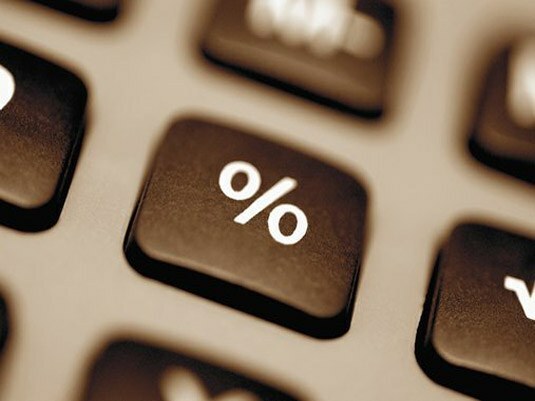 For calculation of percent from sales, multiply the percentage by the amount of sales and divide by 100. As a result, you will receive your bonus in salary, which, however, will be less after tax. After all, the bonuses also imposed a personal income tax, deductions to social insurance, Pension Fund, etc. As you can see, in General, the calculation is simple. For payroll at the end of the month to the accounting Department write a memo indicating their sales, paid for and shipped invoices. 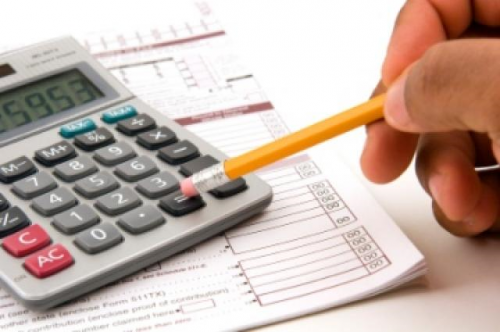 After checking the accountant will accrue on this note your interest and taxes, and the amount received will be included in the estimated statement of wages. The salaries of the sellers, the employer has the right to pay in a firm fixed amount by calculating the percentage of sales or profits of the enterprise to pay the fixed rate for each output, only pay a percentage of sales or set hourly rate. Regardless, payments must be conducted not less than twice a month. According to the Labour code of the Russian Federation, you have the right to establish any form of payment for the work of the seller and fix the internal regulations of the enterprise, as well as a method of payment in the employment contract concluded with the seller for employment. Regardless of whether you pay a fixed amount of wages, the combined (wage + a percentage of sales or profit), to practice an hourly wage, to pay a fixed amount for access, cash for work should be paid at least twice per month with equal intervals. The most successful form of payment, which creates incentives for sellers - fixed rate per outlet or per month plus a percentage of revenues. Sellers will work with maximum efficiency to increase wages by selling maximum number of goods. It is acceptable to pay for labour sellers daily or weekly basis that is most commonly used when working in the market, in a tent or in a small branch because for small volumes of product easy to hold inventory records at the end of the work shift. Before issuing wage perform inventory records. If the shortage is not identified, pay for work in full in accordance with the instructions of the employment contract and the internal legal acts of the enterprise. In cases of shortage guide clearance in accordance with the labor laws, make the act, obtain from the seller an explanation, check the equipment that produced the receipt and sale of goods. You have the right to terminate the seller for distrust and calculate the full amount of the deficiency from the calculation termination. If the amount is large, calculates 25% of wages or contact your a lawsuit in court if you fired the seller.